The characteristic that has defined Twitter for over 11 years is changing. 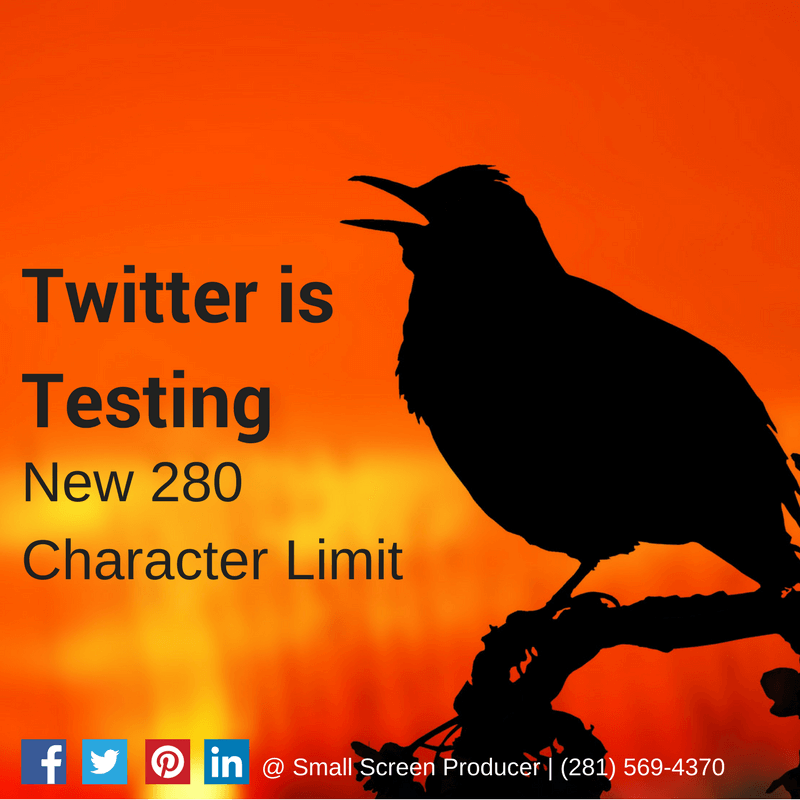 After ruling out longer tweets in the past, Twitter Inc. has announced that they will be increasing their character limit from 140 characters to 280 characters. This change has already rolled out to select accounts and will soon be available across the Twitterverse. Twitter found that their character limit of 140 characters was a cause of major frustration for their English-tweeting audiences and marketers. The company states that they are making this change to accommodate Roman alphabet-based languages like English which take up more characters to express a thought or an idea than character-based languages like Chinese, Korean and Japanese. If you are not part of the select group of 280 character tweeters, there are several workarounds like this one created by Juliette Pretot. Twitter may be doubling its character limit, but this stringent limitation will still force brands to re-think what they post and how they post it to make the greatest impact with their Twitter marketing. Post relevant content. There will be a handful of events which will not be directly related to your business but which you may tweet about (i.e. a natural disaster, a community event, etc.). But for the most part, make sure the content is relevant to your brand, your industry and most importantly, your followers. Post interesting content. “Interesting” may be subjective, but brands who have done basic target audience research will understand some of the interests and pain points of their followers. Create tweets that focus on those topics. Creating a social media presence on Twitter and other networks is more challenging now than ever before. Make your mark online and get ahead of the competition with the social media experts at Small Screen Producer! Call us today to discuss your online digital marketing goals at (281) 569-4370.